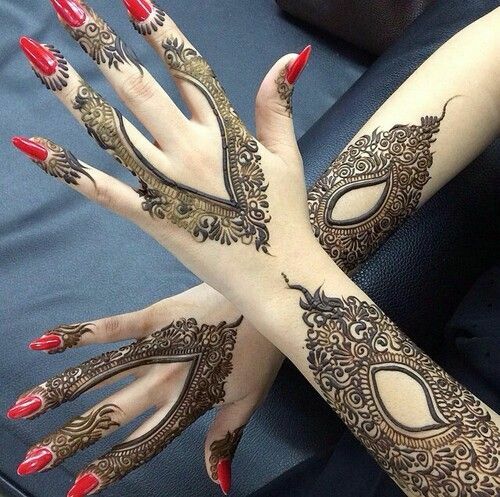 Arabic mehndi is renowned for its elegance and beauty. Over the past decade or so, this trend has percolated greatly in the Indian girl’s sensibility. It gives the appearance of a chic, modern design which is drastically different from the usual boring and traditional designs that the previous generation so believed in. 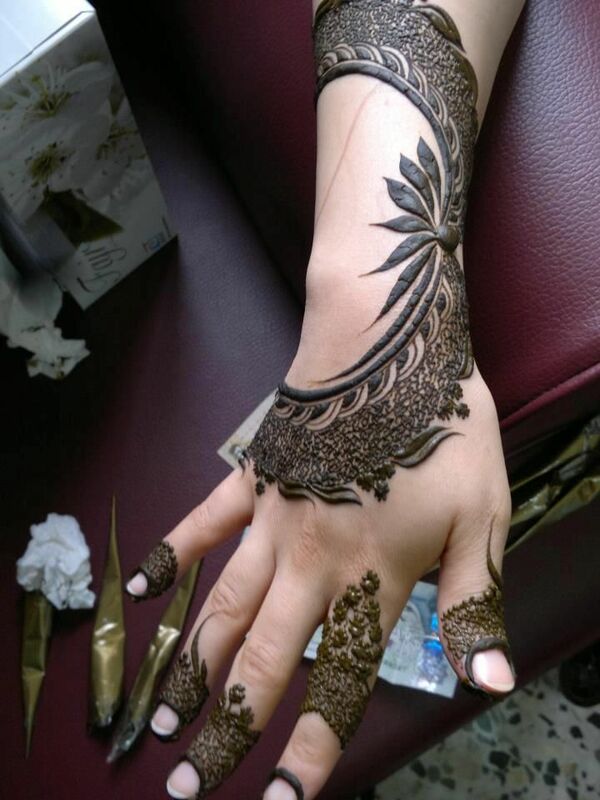 Today, it has gone from one of the design that you experiment with to a real and viable option for even bridal mehndi – which is the time when traditional mehndi is expected the most. Hands full with ethereal, beautiful Arabic mehndi is the best option to make an impression – be it a friend’s wedding or a festival. 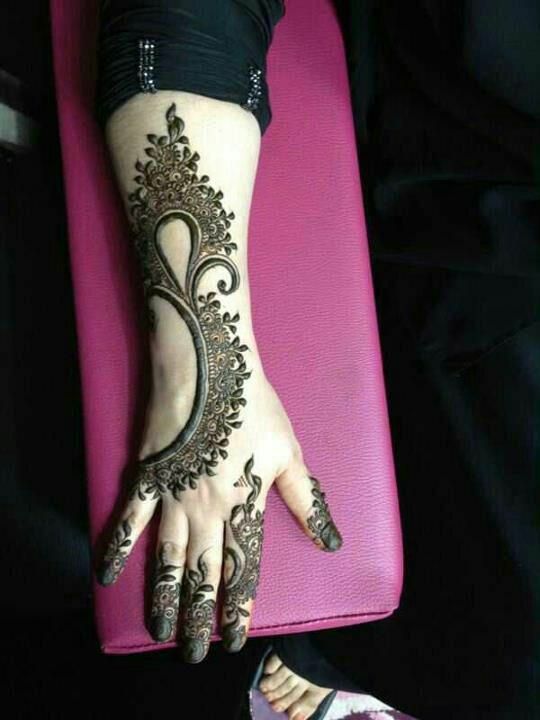 We have all seen the usual, flowery Arabic mehndi. 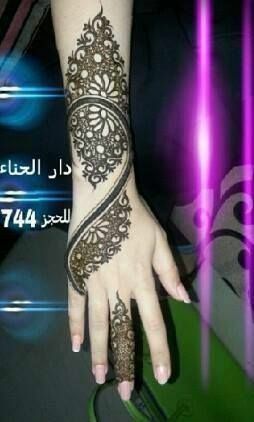 The latest trend has created a greater innovation in mehndi designs. Leaving huge spaces for your hands to breathe, a thick, fluid line is used to create an outline of sorts. The rest of the design flows along this outline. The best use of this technique is when the back of the hand is decorated with what looks like almost a creeping plant. This technique really takes the staleness out of Arabic mehndi, giving it a much needed, fresh makeover. The perfect place to wear a design like this would be a close family friend’s wedding, because it’s just the right balance of style and tradition. The blending of the traditional and Arabic mehndi styles has given rise to a new style – the hybrid. It’s as intricate and deep as a traditional mehndi and gives you the illusion of being one. So it’s basically traditional mehndi done in a very Arabic style. It has your usual elements of the mangoes and a few peacocks, but the details and the shading give it a distinct Arabic mehndi flavor. 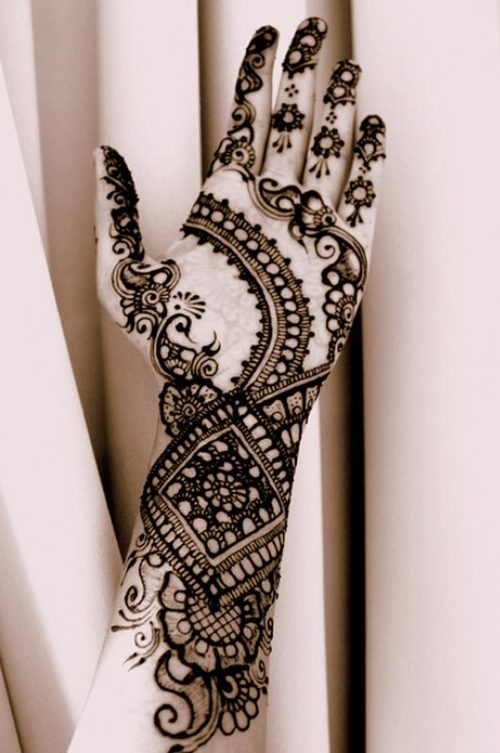 So many of the brides I know are very attracted to this type of mehndi and it is not difficult to understand why – it is perfect for those of us who have cocktail parties and other non-traditional events to attend. It is a good choice for even those of us who are not brides yet, but still expected to flaunt a full hand of mehndi. It’s much more modern and way more interesting. Pair this look with a beautiful lehenga or a nice designer saree. That’s the beauty of this design, it’s totally versatile. 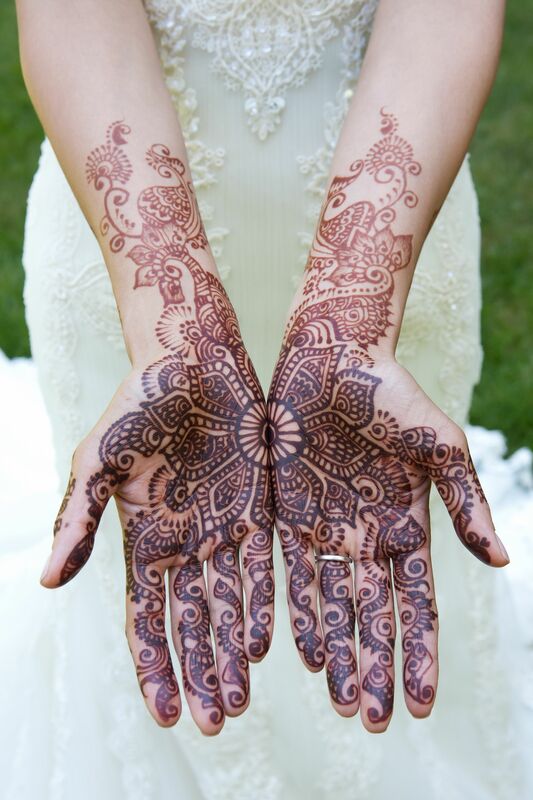 All said and done, Arabic mehndi is famous for its typical floral elements and shading. The beauty is in the fluidity of the design and the open spaces. 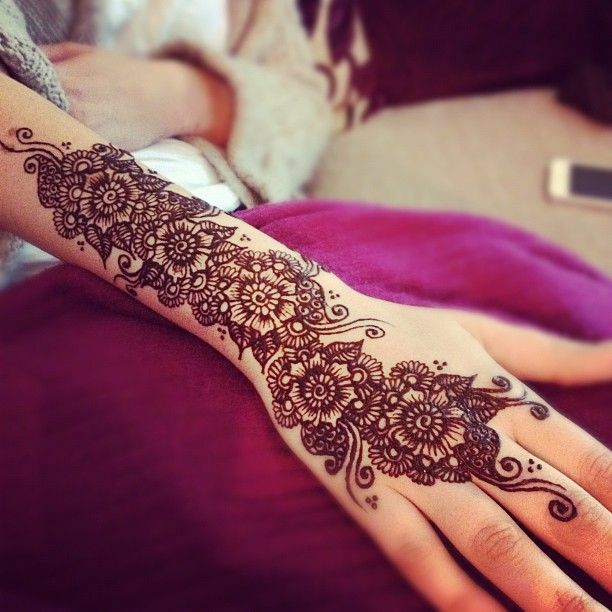 As compared to traditional mehndi, Arabic mehndi designs allow much more space for the design to breathe. That means that they are the perfect choice when it comes to going for a subtle, understated effect. But that doesn’t mean you should have to replicate the same old designs right? Not to worry, these designs can easily be reinvented to different. It’s just the matter of a few correctly placed elements. Go for different treatments for each of your fingers or add a distinct, characteristic pattern in the centre- and you’re done. When wearing any kind of mehndi, a manicure is a must. Go for a French manicure for a sophisticated yet simple look or simply match it to the dress of your choice. Great looking nails and some chic accessories can really highlight your mehndi. Click on the images to view them larger.